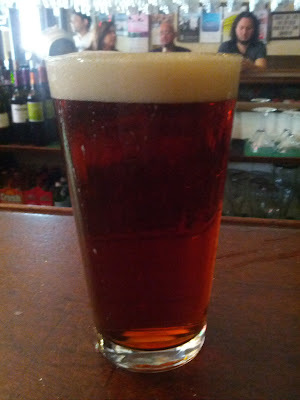 Two limited beer reviews plus one brand new Cincinnati tour! I have had a fantastic Saturday starting with a brand new tour of Cincinnati history and followed up with 2 rare beers at Arnold’s. I would like to strongly encourage everyone to head over to QueenCtiyHistory.com and signup for one of the tours led by Michael Morgan, the author of Over-The-Rhine: When Beer Was King (read my review of the book here). 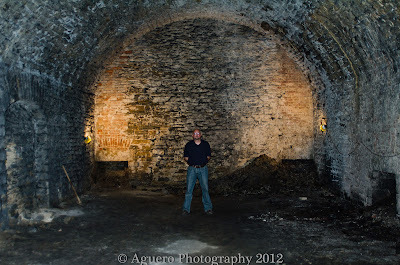 Today was the first day of the Saloons, Cellars, and Sins tour. It’s a 12 block (about 1 mile) walking tour of downtown with multiple stops where Michael explains a bit about certain buildings and Cincinnati history in general. 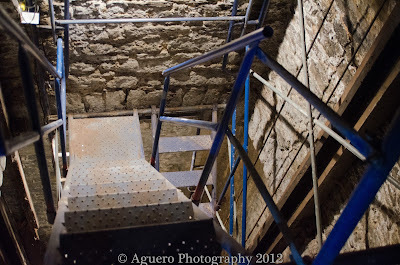 This includes a stop in some of Gerke’s lagering tunnels, while the “stairs” down might be a bit scary for some they seemed perfectly safe to me. The cave-like temperatures of the lagering tunnel was a nice relief from the heat outside, this relief will only get better as the summer gets hotter. Other stops include information about the sad history of Cincinnati presidents, information on Washington Platform, the 1884 riots that resulted in the burning of the court house, and oh, did I mention this begins and ends at Arnold’s? The first bit of info is the long and storied history of Arnold’s including the infamous booth room (which no longer has a booth). 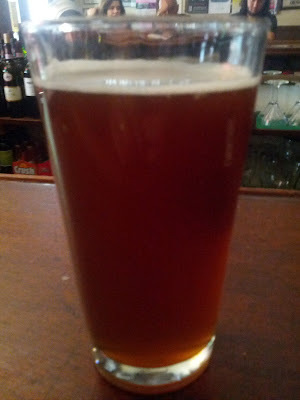 Luckily for me the first day of this tour coincided with Arnold’s tapping Moerlein’s cask conditioned Exposition Vienna lager as well as some of the rare Great Lakes Rally Drum red ale. On to the reviews! Pours a great cloudy caramel-brown color with minimal off white head that hangs around a bit and lingers on the side of the glass. Smells fairly malty with a hint of hop action. The taste is very smooth and delicious with more malt flavor and some nice mild spices. The mouth feel has a medium body and almost no carbonation, which it could safely use some more of. I hope Moerlein gets around to bottling this and producing it year round, so I could have it more often. I give it a solid 3.5/5 rating and encourage everyone to try it out if they get a chance. I know Arnold’s has it (at least for today) and I believe you can get it at the Moerlein lager house as well. Pours the standard reddish brown with off white head, very standard for the style. Smells of slightly burnt malt and tastes the same. It’s got a lite-to-medium body with a bit of carbonation. I don’t have too much time to say here but this is a pretty. A good solid red ale that I would quickly recommend for someone curious about the style. I hope to have this again and give it a more thorough review, for now I’ll give it a 3/5.